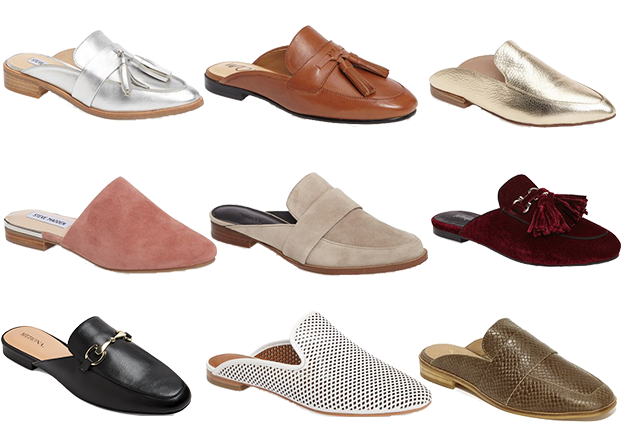 One spring trend I have been dying to try is definitely the mule shoe trend. We have seen these shoes pop up over the past few fashion weeks, but for spring they are a huge trend and I am ready to add a pair to my wardrobe. While I was out shopping this weekend, I found several pairs and tried a few on but couldn't decide on a pair, but now I am kicking myself for not choosing one. Not only are they chic but they are a super comfortable alternative to a heel or wedge! I had to share this trend with y'all and found some amazing options. Hope everyone's weekend was fantastic! So many good choices!!! I love me a mule!